Even if it seems like the chillest festival to attend, if you’re afraid of heights you should definitely avoid it. 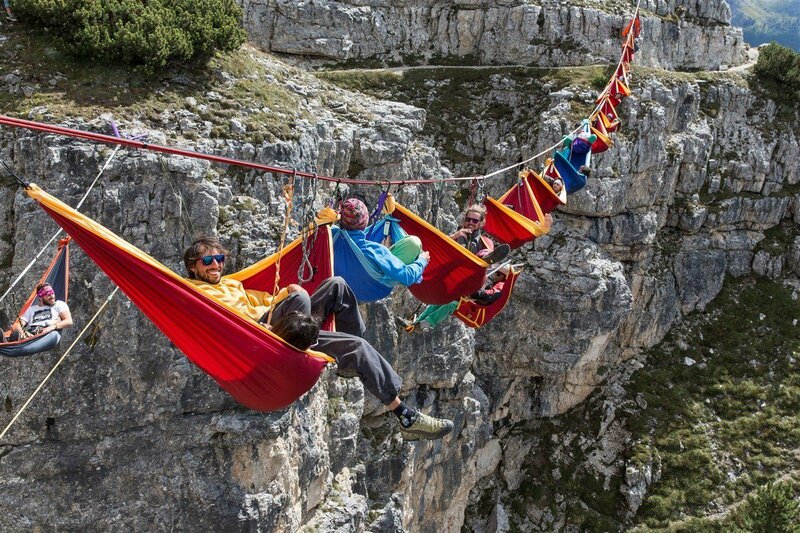 And that’s because the participants spend most part of their time strung up on tightropes stretched across the 2,324 meter tall mountain, Monte Piana. Called themselves “slackers,” the participants balance themselves on the slacklines ranging from 20 to 330 or more feet in the air with no safety net. 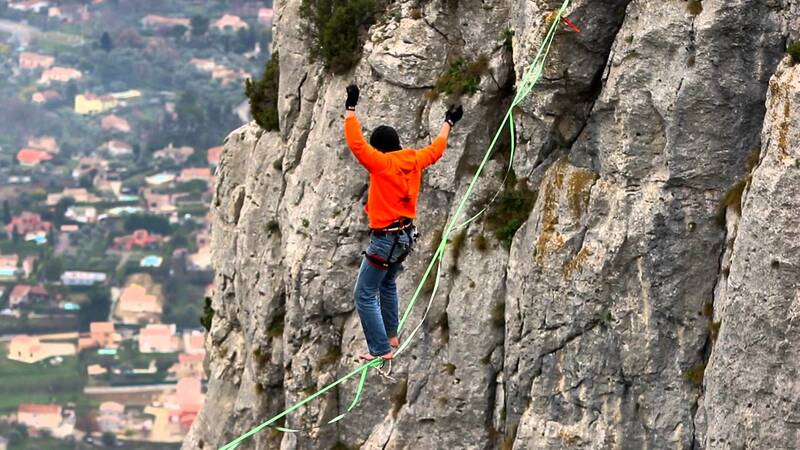 There are 18 highlines where the attendees could test their abilities. 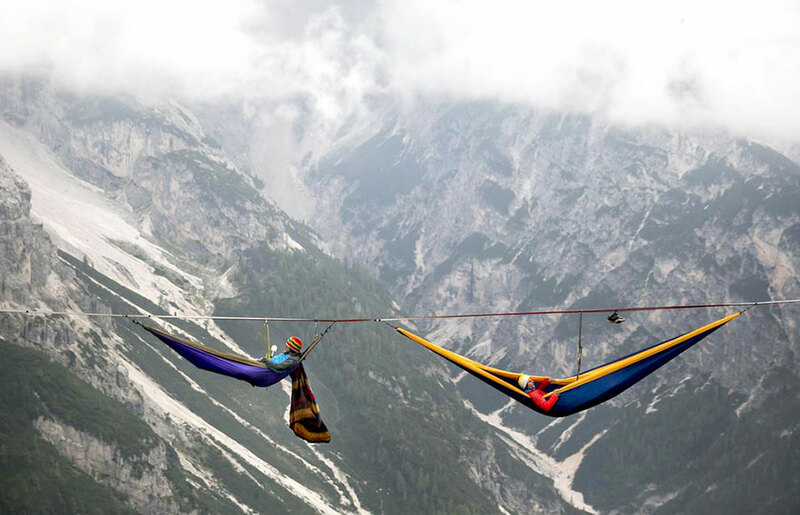 More than that, hammocks are attached on the highlines, so the fearless folks could relax, eat and sleep in the air. ‘The best thing is that you are high enough to parachute off the net. You can literally step out of your tent, fall off the net, and fly away. I am totally intrigued by the height. It is frustratingly scary and quite distracting. It causes a unique and challenging focus that becomes addicting, ” said one of the festival’s attendees. 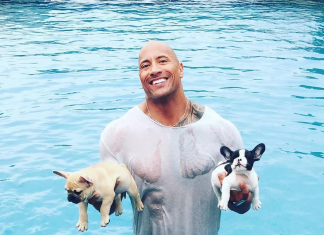 In the video bellow you can see how this fearless people are defying the gravitation laws!